You may recall that last month I reviewed The Bookman by Lavie Tidhar. The third book in his Bookman Trilogy, The Great Game was just released in the US yesterday (October 4th) and comes out in the UK tomorrow (October 6th). Lavie Tidhar is the author of the Jerwood Fiction Uncovered Prize-winning A Man Lies Dreaming, the World Fantasy Award-winning Osama and of the critically-acclaimed The Violent Century. He has a British Fantasy Award for Best Novella for Gorel & The Pot-Bellied God. Lavie’s first non-fiction novel Art and War: Poetry, Pulp and Politics in Israeli Fiction – co-authored with Shimon Adaf – was released through Repeater in March 2016. I enjoyed your take on alternate history/reality in The Bookman, but the burning question for me is: why lizards? If you’re asking, what’s their origins? What’s the obscure literary reference, as it were? Then the answer’s that it’s a joke reference to “Victoria”, the first novella in Paul di Filippo’s “The Steampunk Trilogy”, from 1995, where Queen Victoria is replaced with a giant newt. I thought it would be fun to throw that in but, of course, once you do that more seriously you start developing a whole rationale and back-story and before you know it the giant lizards take over! More seriously, it was interesting to posit an alternative to human empire that is decidedly non-human, which then allows you to ask interesting questions about how the course of empire and colonialism may have turned out differently had different human factions had reason to co-operate. But really it’s a bad literary joke! Or, as I’d hope, both. When you’re not busy writing or cooking up new ideas for your next book, what can you be found doing? Cooking? That’s actually something I do an awful lot. What I cook varies depending on where I live, what the climate is and what the ingredients are (so, a lot like writing!). I love living near markets, I love butchers and greengrocers and fishmongers, and at various times have had to catch my own fish / grow my own vegetables and so on. Sorry, a bit off track there! Also, in my spare time, such as it is, I do things like, you know, writing answers to interview questions… sometimes I even try to read a book! You’ve written sci-fi, alternate historical fiction, thrillers, non-fiction and even comics – do you have a favorite genre to play in? I have a weakness for the charms of the hardboiled, and noir, but otherwise not really – I tend to think of genres as just this big sandbox I get to play with and just use whatever toys I happen to like. I do find comics writing quite interesting – my graphic novel, ADLER, is due from Titan Comics at some point (though it will be a while yet! ), and I’d love to do more in that form, as I love collaborating with artists. I have no artistic talent myself, so it’s very exciting to see things come into life. Length-wise I’d say my favourite form is the novella – not too long, not too short! But always a hard sell. I’ve published 7 so far, and I’m currently writing 2 more, but, you know. It’s hard to set aside the time. Back to The Bookman – I loved the large cast of writers and fictional characters you included in this book, but my favorite were those from Sherlock Holmes. Was there any particular reason they played a larger part in the varied cast of characters? Are you a big fan of the detective? I am – I own the Annotated Sherlock Holmes (somewhere) which is great. I am also, incidentally, quite interested in Doyle himself, who was a pretty fascinating character. But really there’s everyone from anything in The Bookman, my personal favourite would probably be the cameo from Flashman. I love Flashman! Who (or what, I suppose) among the group of characters in The Bookman was your favorite to write? Lastly, if you could travel to any fictional destination, where would you go? I’d rather travel somewhere real I haven’t yet been, or revisit a few places as well. I was very lucky to visit and live in some pretty remote places, from the Gobi desert to the longhouses of Borneo, to living on a remote island in Melanesia… Hmmm. I don’t know! Fantasylands seem pale by comparison. Thank you for taking the time to chat – I really appreciate it! You can visit Lavie’s page on the Angry Robot site or check out his own website, or follow him on Twitter . 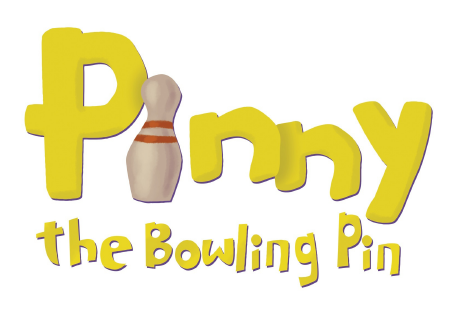 I was able to review an advanced copy of Leah Ward’s new children’s book, Pinny the Bowling Pin, which is an adorable little tale about anti-bullying and being true to yourself. As part of her blog tour, I’ll be posting my review tomorrow. Today I wanted to share a mini-interview I did with Leah. As a young, self-published author, I find her quite inspiring. At the age of 21, Leah will have three books published, once Pinny hits shelves on November 21. From the author’s website: Rylan Bradley is perfectly content with her single, thirty-something life. Love is the last thing on her mind—until she crosses paths with Wesley Kade. He is handsome, charming, and always there when she needs someone the most. But there’s a story behind those brown eyes that he’s not ready to tell. 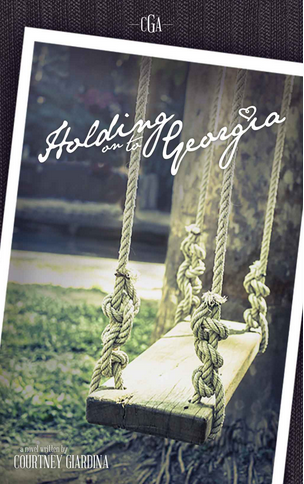 As Rylan and Kade struggle to untangle their feelings for each other, the reality of their pasts will once again resurface and threaten to take it all away. Before I start my review, I wanted to share the mini-interview I did with Courtney.